@BifBangPow: KISS Unmasked Action Figures Are Now Blister Carded! 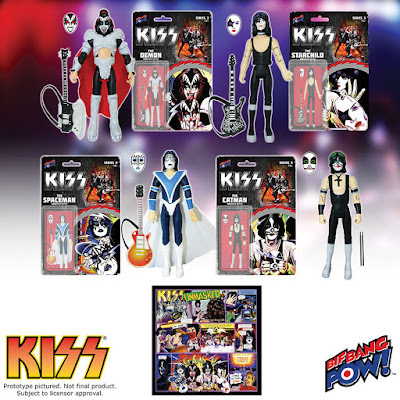 KISS Unmasked Action Figures Are Now Blister Carded! You don’t need to choose a side of this coin! With the Bif Bang Pow! 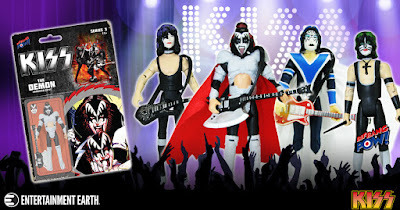 KISS Unmasked 3 3/4-Inch Action Figures Series 3 Set all four members of the legendary KISS band can be yours – now available for pre-order at entertainmentearth.com. 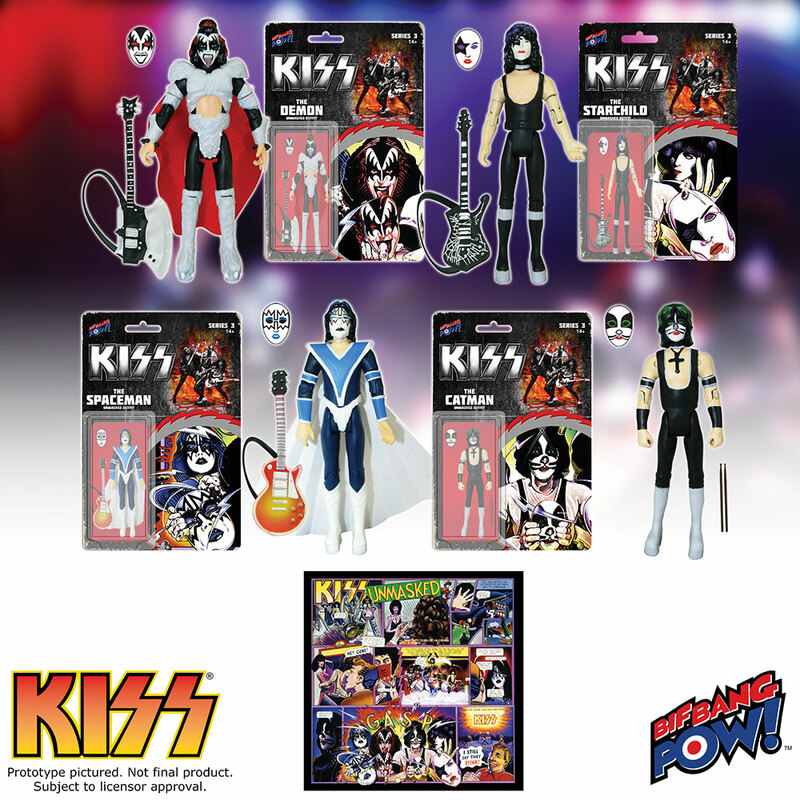 Following on the heels of the highly popular Love Gun and Dynasty action figure sets, this Series 3 set features The Demon, The Starchild, The Spaceman, and The Catman figures with 11 points of articulation (neck, shoulders, biceps, elbows, hips, and knees) and come with corresponding instrument accessories, including The Demon's Axe bass guitar, The Starchild's cracked mirror guitar, and The Catman's black drumsticks. The set also includes miniature paper mask cutouts - as depicted on the inspirational Unmasked comic-book-like album cover. If you’re a fan of KISS you’re going to want to collect them all! Ages 14 and up. 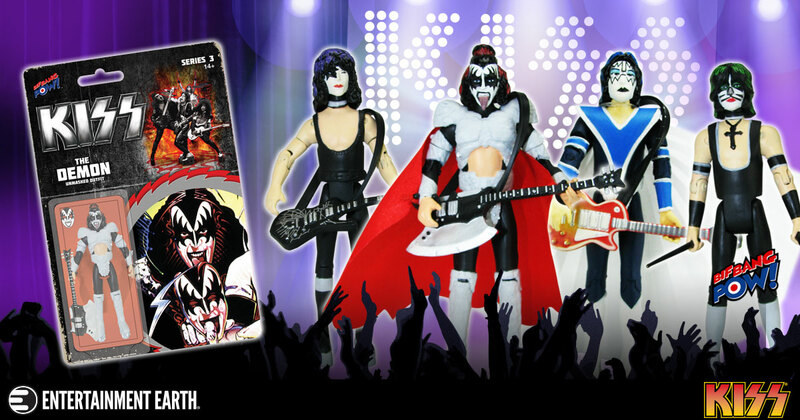 Check out this set along with other coveted KISS collectibles at Toy Fair 2017 inside the Entertainment Earth and Bif Bang Pow! booth (#5452). Press attending the show are encouraged to schedule an appointment for a walk-through and demonstrations.